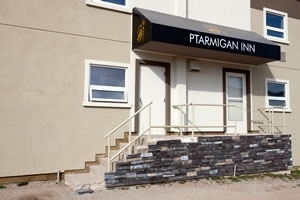 As the town’s largest premier full service hotel, the Ptarmigan Inn promises that your stay will be so much more than just comfortable, it will be an experience unlike any other. The entire staff shares in this commitment. 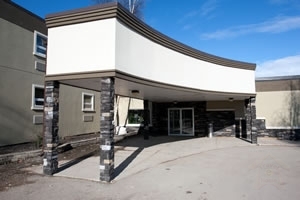 With an in-house restaurant, a sports bar, fitness center, complimentary ticket to the new aquatic centre, and High Speed Internet access in all guest rooms, the Ptarmigan Inn is truly the meaning of full service. The Ptarmigan Inn is pleased to offer High Speed Internet access in all guest rooms. For a nominal fee we also offer wireless high speed connections in all meeting rooms. Our Guest Rooms are fully furnished featuring: Queen size bed(s). Maximum 4 people per room. High Speed Wireless internet. 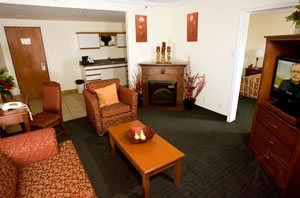 Air Conditioning, Newly renovated double and single rooms, Satellite TV, Government, Corporate, Group and Sport rates are available, Newly renovated Executive Suites, Kitchenette Suites. Our spacious and luxurious guestrooms offer our guests comfortable queen size bed(s), complimentary wired High Speed Internet with E-mail capabilities, individual heat/air controls, guest room amenities, in-room coffee/tea maker, iron & ironing board and hairdryer on request, AM/FM digital clock radio, and voice mail.